When you own a small business the list of things to consider is endless, and it can be hard to keep up. 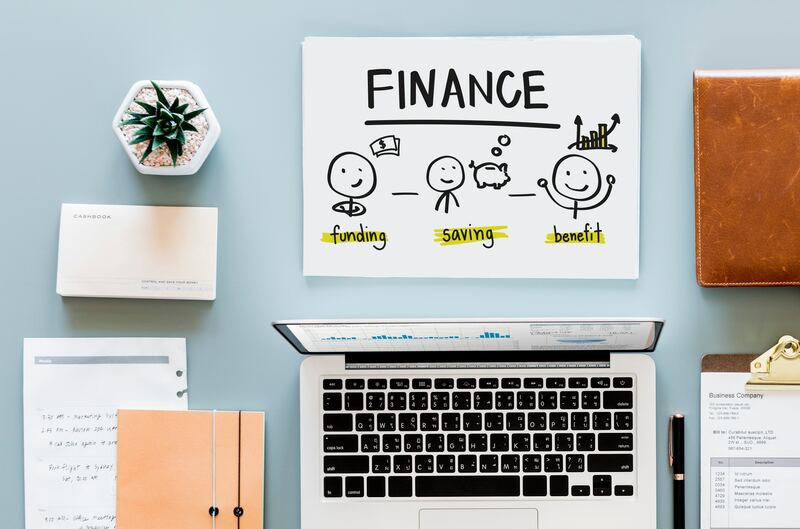 However, preventing future financial mishaps is one of the most important things to concentrate on, so you should try to focus on your business accounting. If you don’t get organised and track everything from the get-go, you could begin to struggle later on. Luckily, our tips are here to help. Don’t mix up your business and personal spending. Have a separate business account for your company, and try to only use the company card when buying things for the business as this will save you having to sift through multiple receipts when you're trying to organise your spendings. This will help you be clear on what you’ve spent and what you have available to spend, along with preventing an abundance of stress when the tax deadline comes around. Keeping good accounting records will make day-to-day financial tasks more simple, as you will be able to access any information needed about your accounts easily. Keeping organised records by labelling and categorising each expense or deposit and tracking your cash flow means you can keep on top of your business spending and hopefully prevent your business from running out of funds. This process can be very time consuming, so just be sure to dedicate some of your time to your accounting and you’ll thank yourself later, especially when you’re faced with a larger-scale financial task. The tax deadline is stressful for all business owners as there are so many economic variables to consider. If you submit a tax form that has been filled out incorrectly, or if you miss the submission deadline, you will have to face late fees and other fines, meaning a financial loss for your business. The longer it takes for you to submit them correctly, the more you will be fined, so being organised and ready for the tax deadline is essential. There are many companies that aim to help small business owners manage their finances. If you want a cloud-based accounting software to keep on top of your finances, your best options are Xero, Quickbooks or Sage. All three options offer very similar functions, and also offer free trials so you can try them without having to commit. As your business grows you might consider getting expense cards for some of your employees. Expense cards are useful as they provide employees with more flexibility to spend company money, however you are firmly in control of spending. There are so many different options, but some popular options are Soldo, Pleo, the Mastercard Prepaid Card, Tide and Cashplus. Shieldpay protects both sides in any transaction so that you can deal with anyone, anywhere with total confidence. We've also integrated with Xero's cloud based accounting solution, so whether you're a contractor, manufacturer or importer you can invoice for little or large jobs, with fast payouts when you're done. Check out our Shieldpay for Xero connected app here. How do we do it? We verify the identity of both sides, funds are held securely in the Shieldpay vault and only released when both sides agree they’re happy. Plus, if anything doesn’t go to plan, we help out with any disputes. Find out more about Shieldpay, or let us know your thoughts by leaving us a comment or chatting to us on Twitter, we'd love to hear from you!